You have no pending entries. 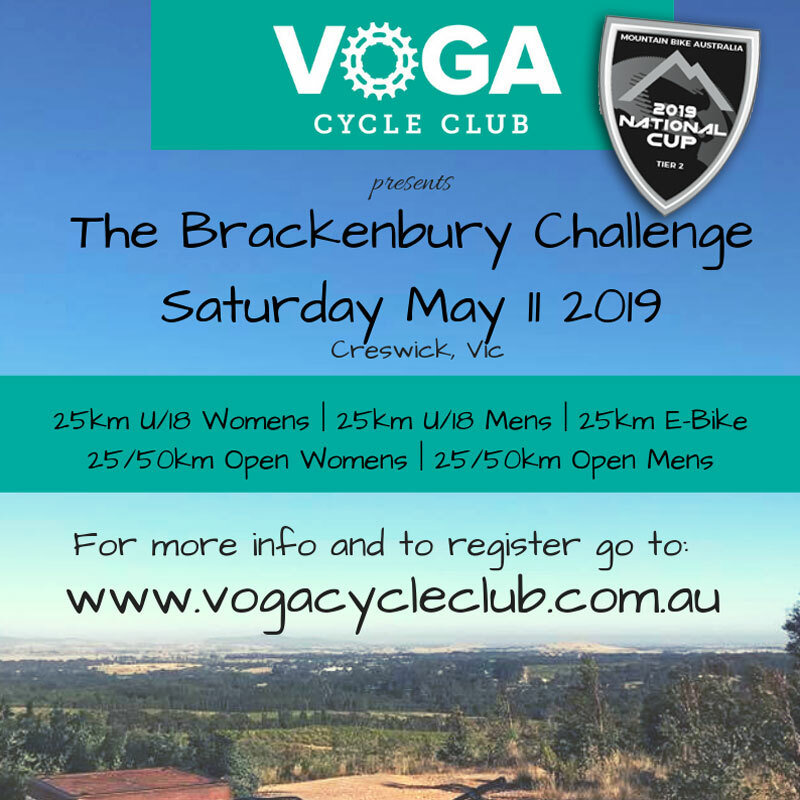 Hosted by the VOGA Cycle club, The Brackenbury returns in May 2019 to the township of Creswick, just 10 minutes north of Ballarat in Victoria’s west. After hosting a 2-day event in 2018, we’ve refined the event back to 1 day, on the Saturday before Mother’s Day (we can only ask so much of our awesome volunteers!). 2019 will also earn you Tier 2 MTBA Nat Cup points for Marathon. A combined male & female category, this is open to anyone who wants to race on an e-bike. E-bike is defined as any electric-powered, pedal assist bicycle. The course will be best suited to those designed to be ridden off-road. *U/18 - Participants must be 17 years or younger on race day. Junior riders wanting to race 50km will need to enter the open category. Pre-registration is a must, we won’t be taking entries on the day and you will need a MTBA licence or day licence. Starting from Hammon Park you’ll head into the hills around Creswick. You’ll pass through native forest, around lakes,through pine plantations and see some pretty damn good views from the top of the races’ namesake, Brackenbury Hill. Fingers crossed there may even be some new trails included from the $2.5m trail project that is coming…. VOGA really wants to make sure this event grows, but remain grassroots.. But we are going to help you out even more to make the decision to enter early (you have no idea how much this helps with our planning!). For all other information including race plate collection, course maps, race start times, please visit the club website (keep checking back as they will updated over the next few months) and follow us on Facebook.